The ribbon-cutting also marked the graduation of the first class in the Certified Pharmacy Technician program. 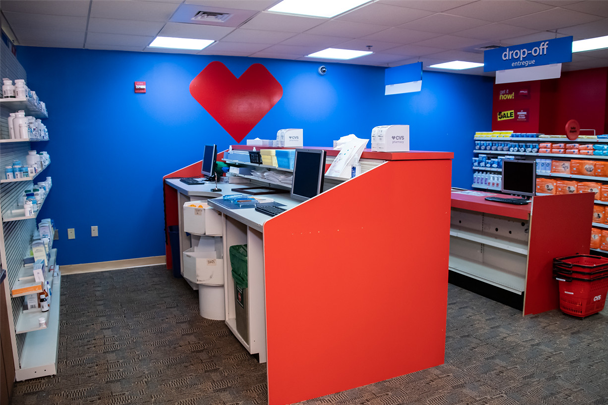 Complete with a pharmacy counter with mock pill bottles and shelves stocked with inventory, the mock pharmacy looks similar to a fully operating CVS Pharmacy. A look behind the counter of the new mock CVS Pharmacy. Pharmacy technician program graduate Alysha Faulkner, now a CVS Pharmacy colleague, shared her story at the opening celebration. 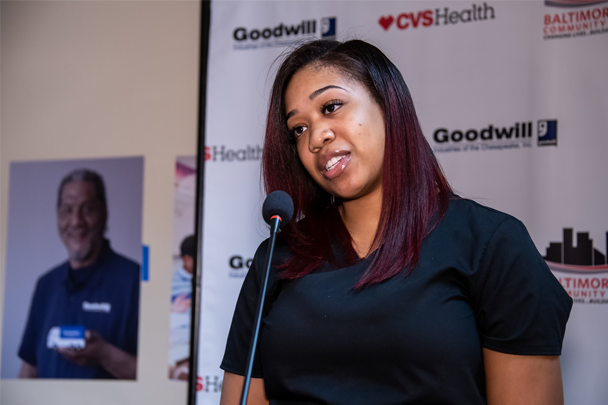 Aspiring pharmacy technicians and retail associates in the Baltimore, Maryland, area will now have access to valuable hands-on training thanks to a new mock CVS Pharmacy that recently opened in the city’s downtown district. A partnership between CVS Health, Goodwill Industries and Baltimore City Community College (BCCC), the mock pharmacy will allow students enrolled in training programs for certified pharmacy technicians and retail sales associates to practice what they are learning in the classroom before entering into the workforce. Students who successfully complete the training programs will qualify to apply for a job at a CVS Pharmacy. The mock pharmacy, located on the Goodwill Industries campus in Baltimore, is part of the workforce training initiative administered by Baltimore City Community College and Goodwill. The programs they offer include job readiness soft-skills training combined with classroom and field-based clinical instruction. The mock pharmacy’s October 2018 opening celebration also marked the graduation of the first class in the Certified Pharmacy Technician program that also launched through the partnership. 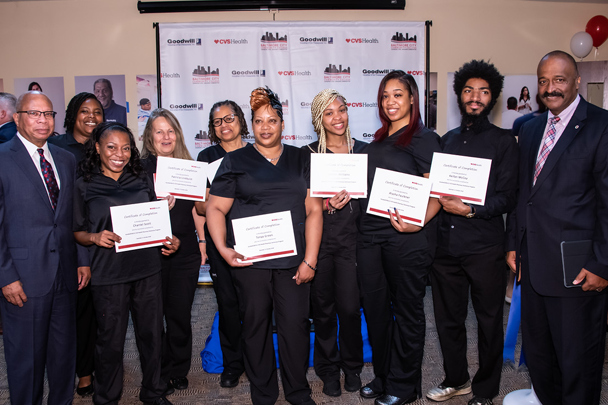 During their training, students took part in a 16-week pre-apprenticeship program, consisting of pharmacy calculations and theory courses, and CPR certification at Goodwill's Career Center, followed by a six-week Pharmacy Technician Clinical Externship provided by CVS Health. They utilized the new mock CVS Pharmacy to practice new skills like counting pills and managing inventory. Each student will sit for Maryland's Pharmacy Technician Certification Exam (PTCE) upon the completion of the training program. New graduate Alysha Faulkner shared her experience with celebration attendees. She said she worked at a car dealership part-time before finding out about the pharmacy technician program. At her CVS externship, her work ethic impressed the pharmacist so much that she was offered a job within the first week. She’s now a pharmacy technician at a CVS Pharmacy in Columbia, Maryland. “The employment opportunity that Goodwill provided me with CVS has me on a career path for success,” Faulkner shared. 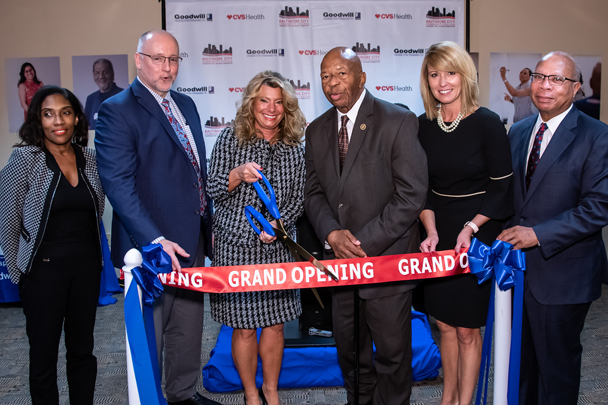 The new mock pharmacy in Baltimore is the latest addition to the many workforce development programs and resources CVS Health offers nationwide to attract and equip diverse talent for careers with the company. Regional Learning Centers, located in Boston, Cleveland, New York City, and Washington, D.C., serve as hubs for job training and pipelines for new talent. Each include classrooms, office space and a full mock pharmacy where students train for a variety of positions within CVS Health. 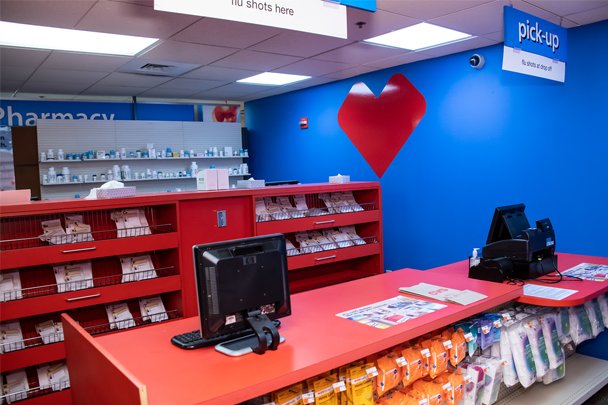 In partnerships with state and community organizations, CVS Health has opened 43 mock retail stores and pharmacies around the country. Many of them are located in training centers, technical schools, community colleges and local community organizations, like Goodwill. Additionally, we recently announced a collaboration with the National Consortium of State-Operated Comprehensive Rehabilitation Centers (NCSOCRC) to help Americans with disabilities find meaningful employment. The collaboration included the commitment to open eight mock training facilities at rehabilitation centers around the country.